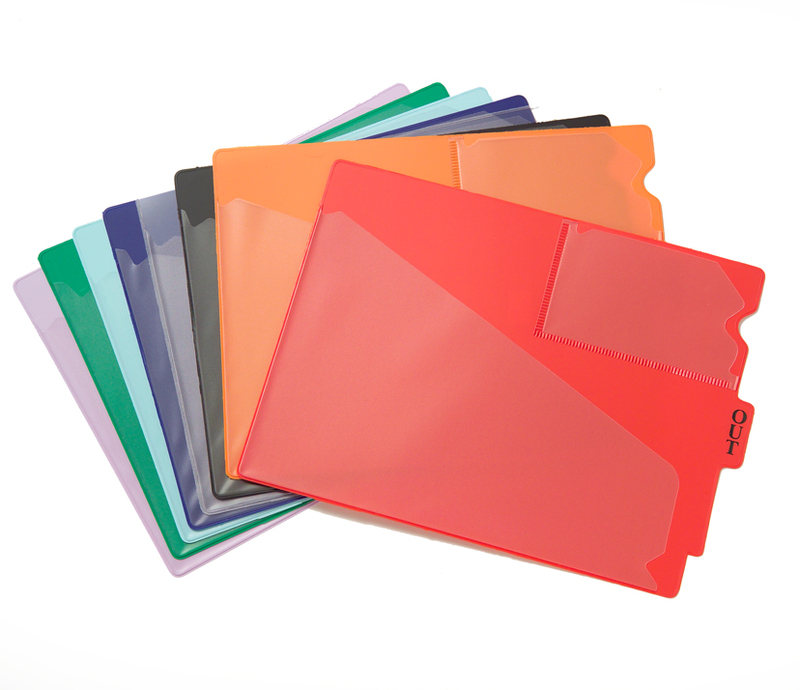 Our rigid vinyl guides clearly mark where folders have been removed from the file system. Guides have two transparent soft vinyl pockets. The small pocket holds charge out forms where users indicate their name, folder name and date folder was removed. The larger pocket temporarily holds full size documents to be filed in the folder when it is returned.